21 Grams is excited to announce the acquisition of Europe Post, an international mail company based outside Copenhagen in Denmark. Europe Post was founded in 2010, by Lasse Agergaard, who now joins 21Grams as Vice President and responsible for the business area International Postage Solutions. In 2015 Europe Post had a turnover of 32 MSEK. 21Grams has a complete offering of services including both software sortation technology and access to all major Nordic postal operators, enabling cost efficient mailings into the Nordic region. 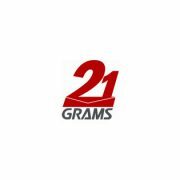 The strong partner network of Europe Post will connect very well with 21Grams both for import and export opportunities, and with the merge 21Grams will be able to offer even more cost efficient services to both parties’ customers. 21 Grams sortation software platforms; PostSort, iSort and Winjet, will be configured to allow access and preparation of mail items automatically for all Europe Post destinations. The new entity combined, 21 Grams and Europe Post, will have around 40 employees, and clients in 13 countries, becoming the biggest independent supplier of international mail in the Nordics.